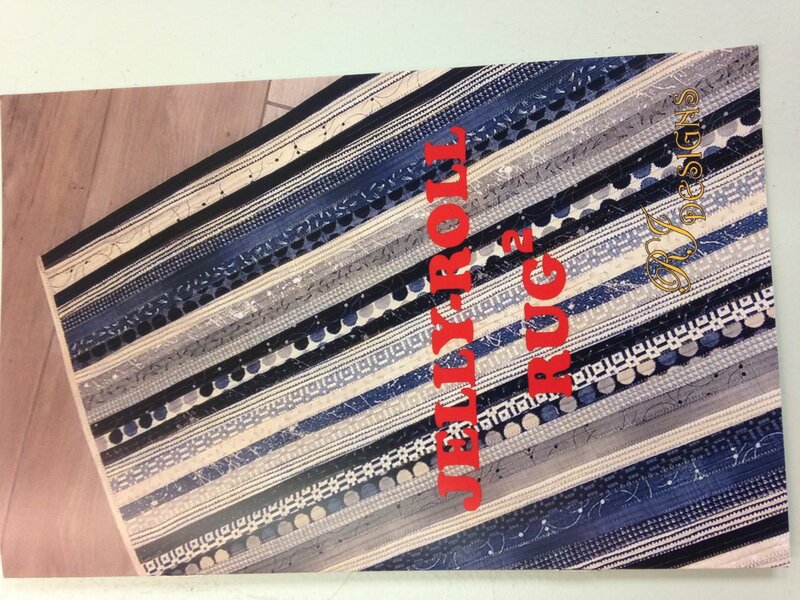 For Jelly Roll Rug 2 class, the strips in the Jelly Roll are not joined together. 40 strips are made with the batting folded and sewn in while the last two are used as binding. You will need a Jelly Roll, thread, sewing machine that makes a 5.5 width for a zig zag stitch, around 50 yards of 2 1/4" or 2 1/2" batting and a smile.